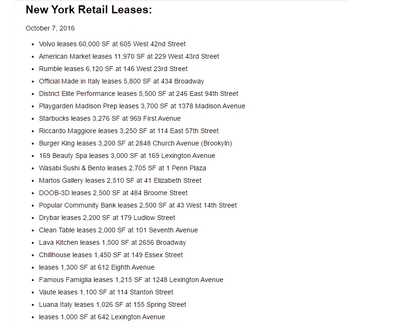 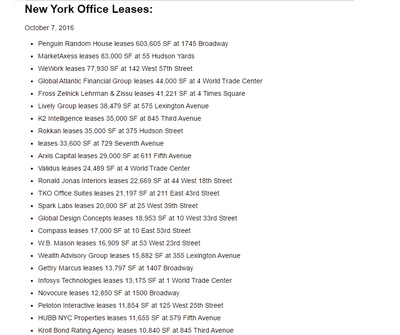 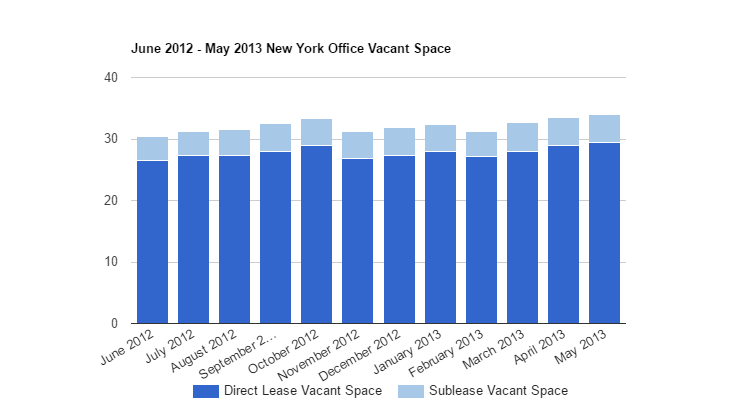 Total Manhattan Office direct lease vacancy increased from 28.96 million RSF to 29.44 million RSF. 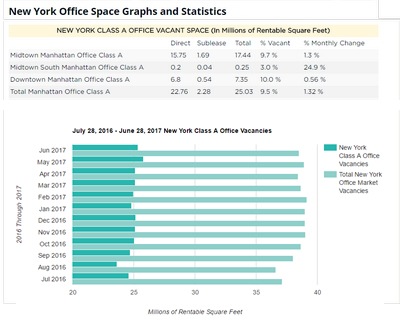 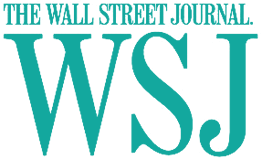 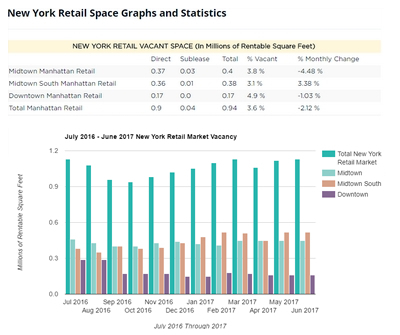 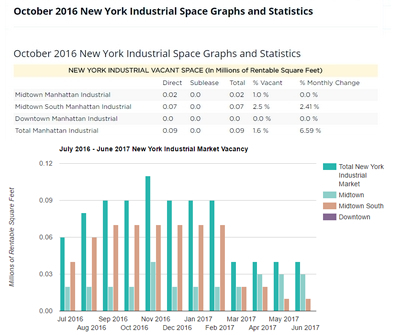 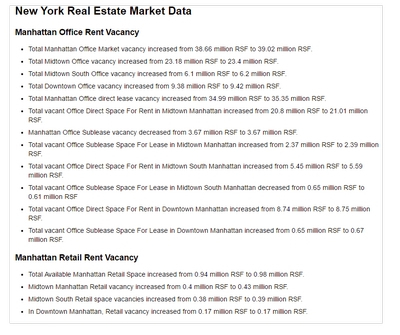 Manhattan Office Sublease vacancy decreased from 4.52 million RSF to 4.5 million RSF. 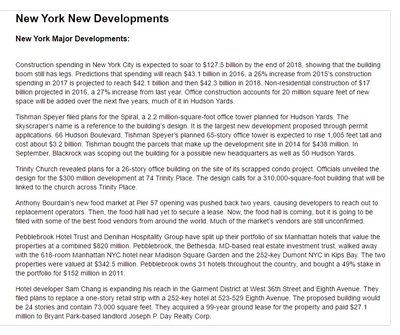 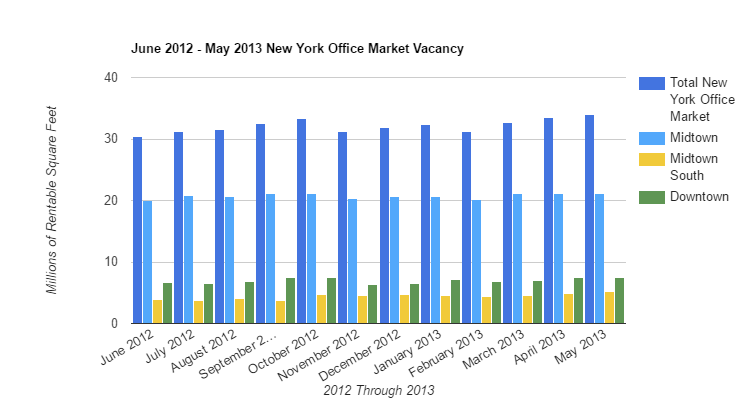 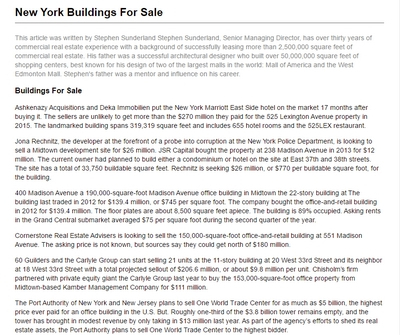 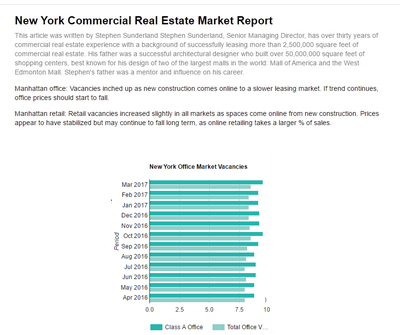 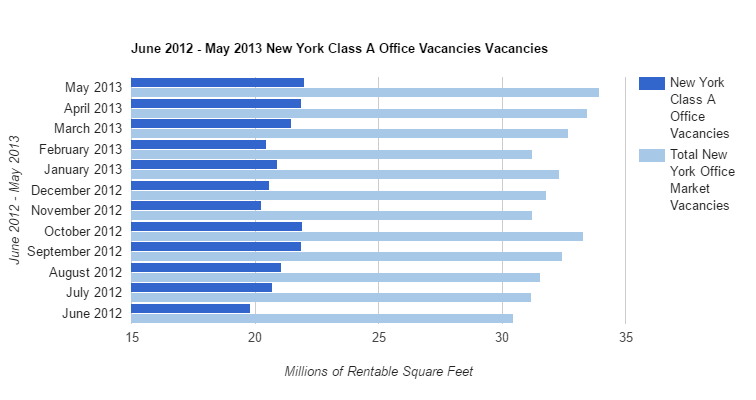 Total Manhattan Office Market vacancy increased from 33.48 million RSF to 33.94 million RSF. 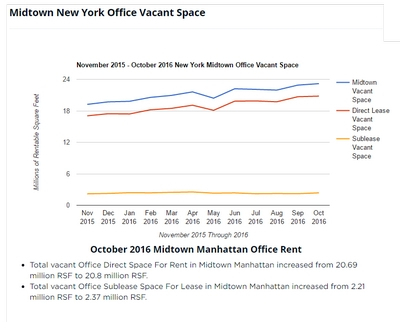 Total Midtown Office vacancy increased from 21.09 million RSF to 21.17 million RSF. 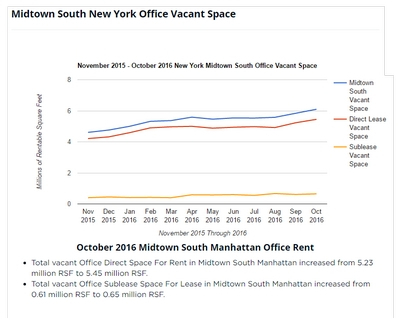 Total Midtown South Office vacancy increased from 4.95 million RSF to 5.22 million RSF. 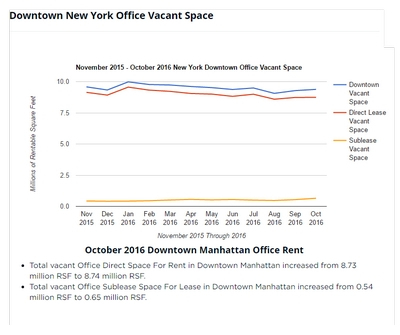 Total Downtown Office vacancy increased from 7.45 million RSF to 7.54 million RSF.